Opulent and sophisticated, the Medina Rectangle 3 Light Pendant by Heathfield & Co is inspired by the diverse souks found in Saudi Arabia. Finely sculpted metalwork is combined with delicate, borosilicate glass to create a striking lighting installation that will suit both contemporary and traditional interior schemes. 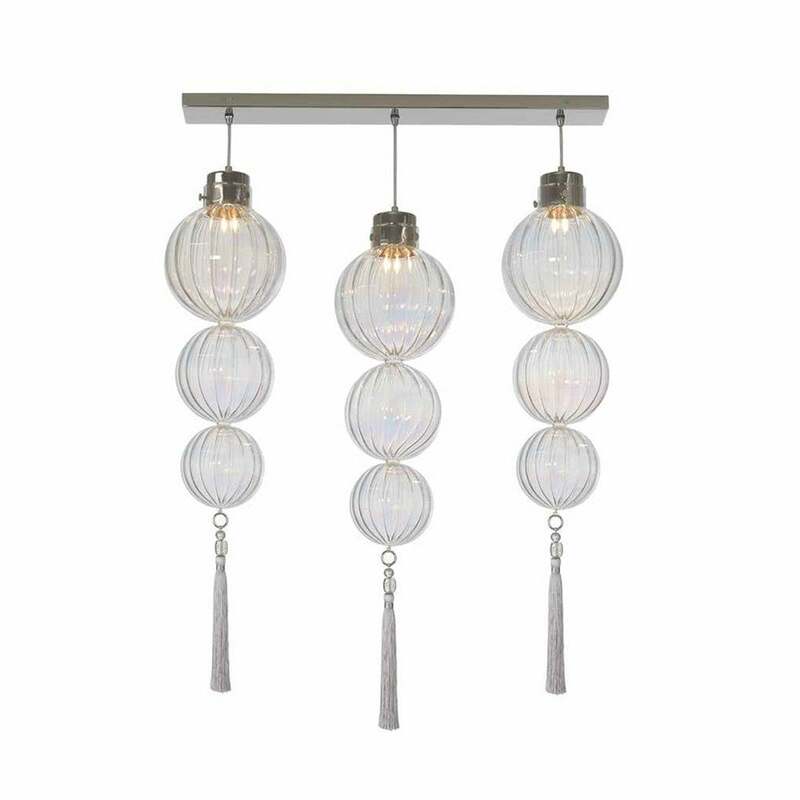 Featuring three fluted glass globe lights, this fitting can be made bespoke for you by choosing your own colour options and globe sizes. Shown here in lustre, the pendants are finished with a luxurious tassel, designed by leading furnishing trimmings designer, Wendy Cushing. Get in touch with our team for more information, advice and tips.